Andrece, age 11, has been a Club kid for six years. In 2015, he was named Middle School Youth of the Year for the LeGore Club. Find out how his Club and the staff changed his behavior and improved his self-esteem. My favorite thing to do at the Club is FIRST® LEGO® League (FLL®), because I get to build stuff out of Lego® and robot parts. And it’s a good way to help keep my frustration down. In FLL®, we build robots and compete in competitions with other Clubs and other FLL® teams in Indy. We also write research projects too. I have been doing FLL® for a year. Before I started, my behavior wasn’t good. I would get mad, cry, throw things and not listen to staff. Now, my behavior is great. I feel good about myself. It’s been helping with my frustration too. FLL® keeps me calm because I have to earn being able to play. Plus, I help with the young kids in Junior FLL®. I feel important now that I am part of FLL® because of my team, Heather (the staff member who is over FLL®) and my mom. It gives me confidence and helps me believe in myself. 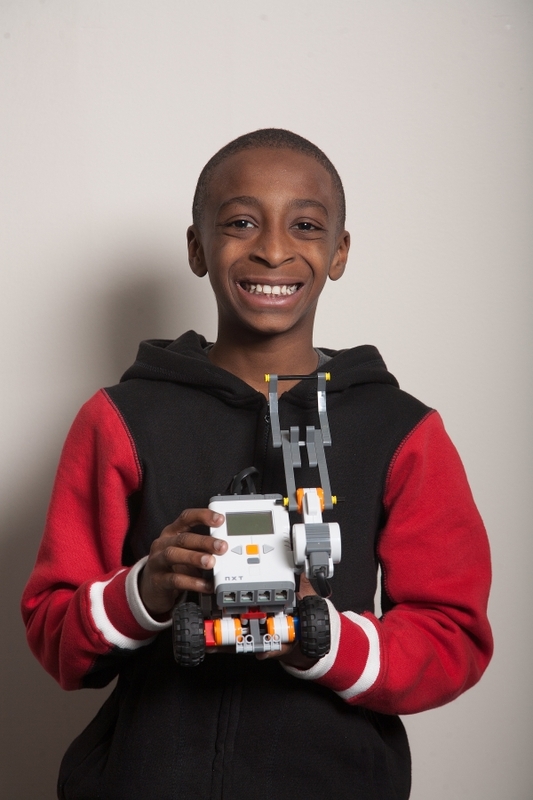 Because of FLL®, I want to be an engineer when I grow up. FIRST® LEGO® League introduces young people, ages 9 to 14 (grades 4-8), to the fun and excitement of science and technology. Maleek, a fourth-grader and an 11-year-old, has been a Club kid since February of 2012. Kids like Maleek regularly get written-off by adults who tend to lose patience when youth have challenging behavior. Maleek was having a hard time with authority when he first began coming to the Club. He was trying to cope with what was going on around him at school and at home. As a pre-teen, he didn’t know how to focus that energy in a more positive, productive way. Maleek felt misunderstood by the adults in his life. And, he struggled to fit in with his peers. His frustrations led to conduct issues. Maleek has found several staff members with whom he really likes and enjoys working. Meaningful connections with those staff members have turned him into a learning sponge, soaking up as much as he can from them. Encouragement from adults outside of his family has enabled him to make better decisions and to do well in school; something that Maleek felt he was missing. When Maleek first came to the Club, his grades also needed improvement. Struggles with his behavior meant Maleek wasn’t getting the most out of his Club experience. Now that he’s learned how to better manage his behavior, he’s able to reap the benefits of Boys & Girls Clubs programs such as the available homework tutoring during PowerHour and participation in Club sports. Maleek’s story isn’t that different from the stories of many of our Club kids. They really do just need to know someone cares in order to become their best. Find out more about our programs, our Club kids and how you may join us in reaching the youth of Indianapolis at www.BGCINDY.org. My experience at the Keenan-Stahl Club taught me how to not only be great, but how to care about others along my journey. 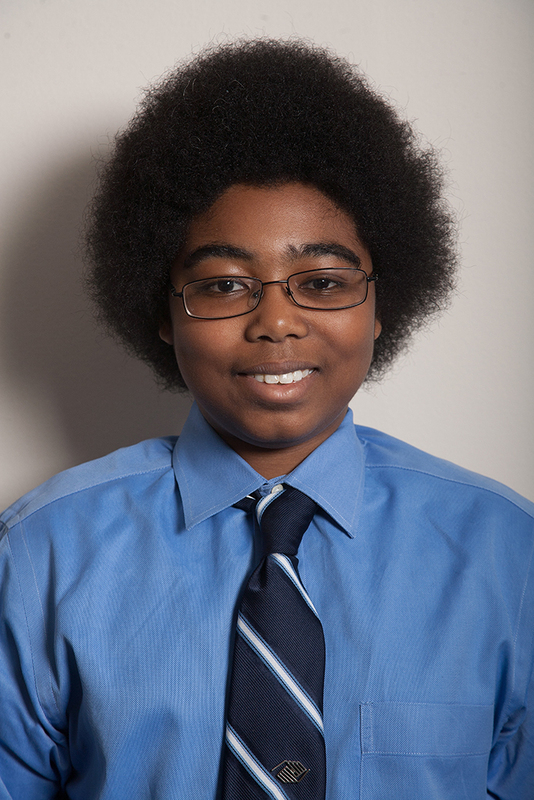 Chayzée Smith started attending our Keenan-Stahl Club at age 7. 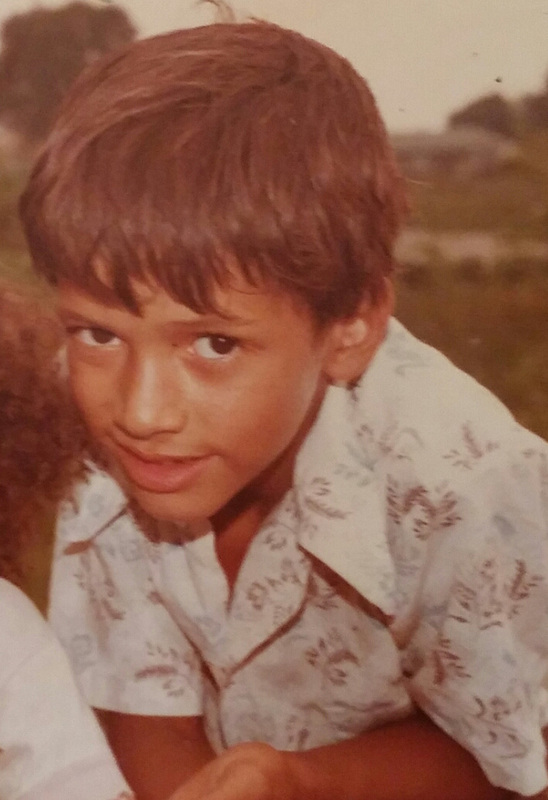 He recalls growing up in a neighborhood full of violence, drugs and poverty-level living. In order to keep from being bullied, Chayzée would leave home very early to head to school and afterschool, he’d rush home to avoid trouble. “I tried to stay after school to play basketball and table tennis, but the violence of the neighborhood always found its way into the afterschool program,” said Chayzée. 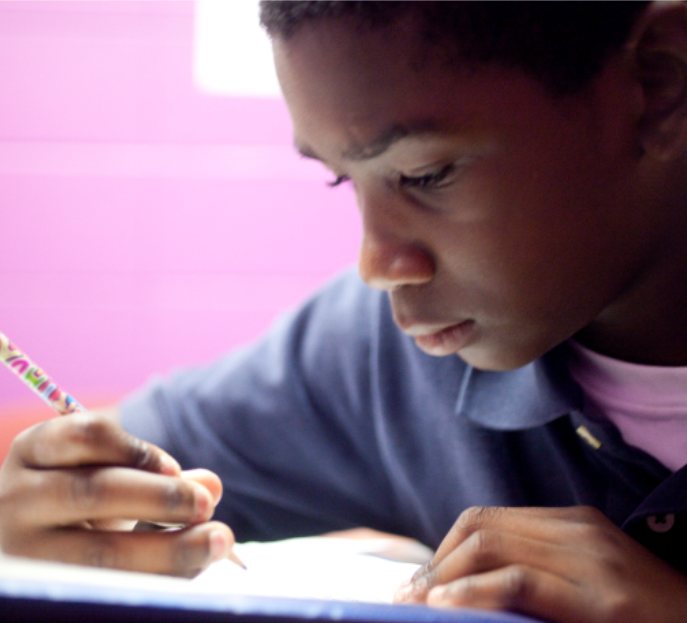 After seeing his struggles, a teacher told Chayzée’s mother about the Boys & Girls Clubs. Today, he is grateful that his teacher recommended the Club and feels that, in many ways, the Club saved his life. “The Club allowed me to go everyday without the fear of judgment or feeling like I was in physical danger,” he said. When I come after school, the staff asks me how my day was and how I’m doing. These questions help me realize how important I am at the Club. Jeffery, has been a Wheeler-Dowe Club kid for more than 10 years. Now, at age 18, he is the 2015 Indiana State Boys & Girls Clubs Youth of the Year; number 10 in his high school class; and a leader at his Club. At a very young age, he’s had to run from gang violence and witnessed neighboorhood crimes. For him, the Club is a second home where he knows the staff truly cares. 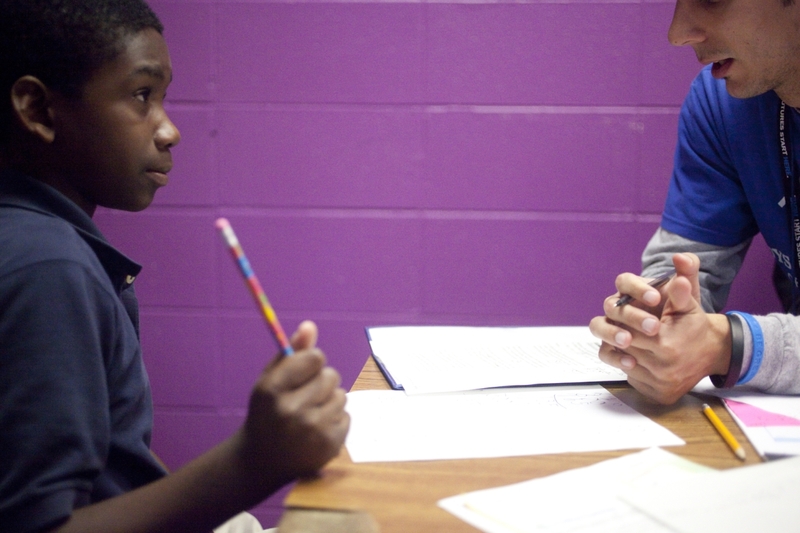 Jeffery gets help with his homework during PowerHour and has received college scholarships through the Taco Bell Graduate For Más program and Boys & Girls Clubs. He plans to major in computer science and has already been accepted into several universities. On May 21st, Come out and support the Boys and Girls Clubs of Indianapolis with our friends in Sun King Brewery. For every Pint that is purchased, Sun King Brewery will donate $1 to the Clubs. 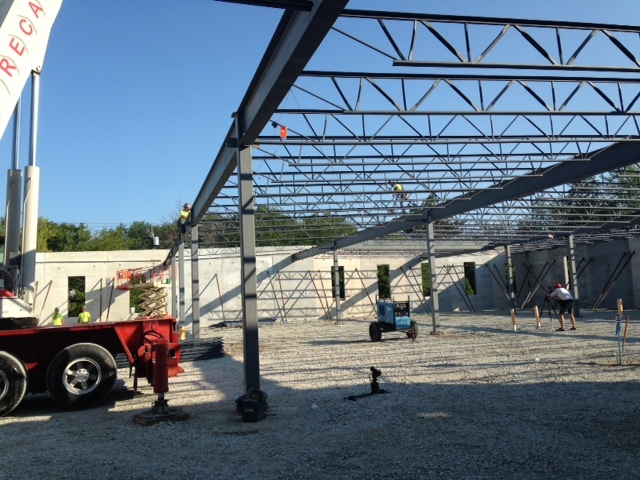 Follow Updates On The New Finish Line Boys & Girls Club! We couldn’t be more excited! A construction team is on the ground and working hard building a new Club on the Far Eastside. The new Club will be located at the corner of 38th Street and Post Road. 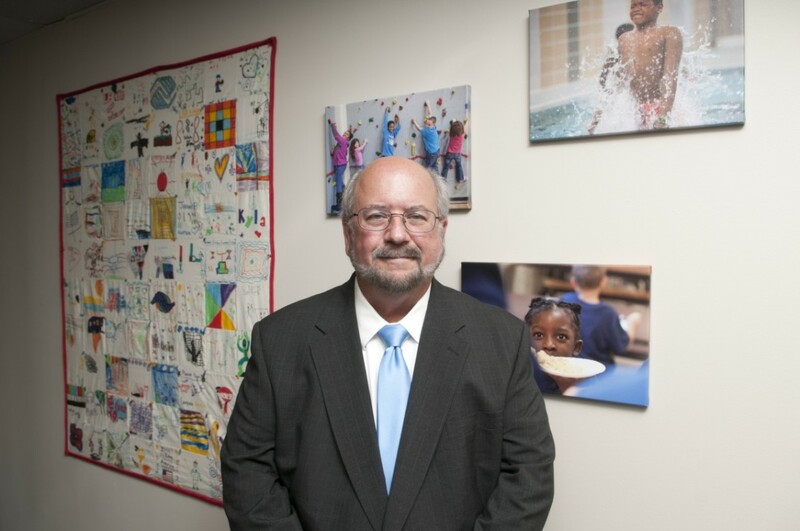 Thanks to a major gift of $1,250,000 from The Finish Line, Inc., the 22,000-square-foot facility will be aptly named The Finish Line Boys & Girls Club. The Building Our Future Investing In Our Kids capital campaign, completed in 15 months, was our was our first in 20 years! 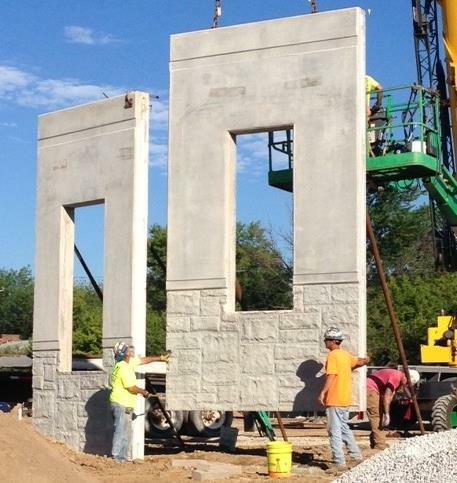 We’ll be updating this page with news about the Finish Line Boys & Girls Club. Stay tuned for updates and exciting announcements. 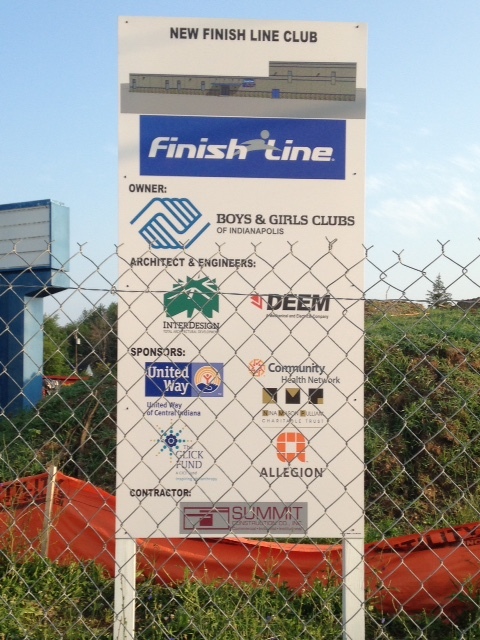 8/28/2014 — Groundbreaking event for the new Club, announcing the Finish Line partnership. More in the IndyStar. 3/19/2015 — Kitchen renovations unveiled for the four freestanding Clubs. Read more about it here. 4/16/2015 — Announcement that the capital campaign goal of $6.6M was not only reached, but exceeded. The total raised was $6,919,775. Read the full story here. 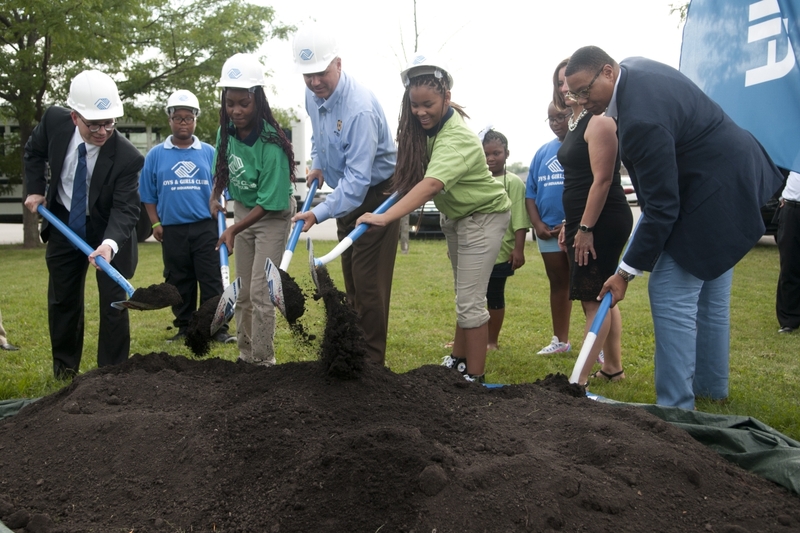 5/18/2015 — Construction begins on the new Finish Line Boys & Girls Club. 7/1/2015 — Sign goes up announcing that the new Club is under construction! Check it out. 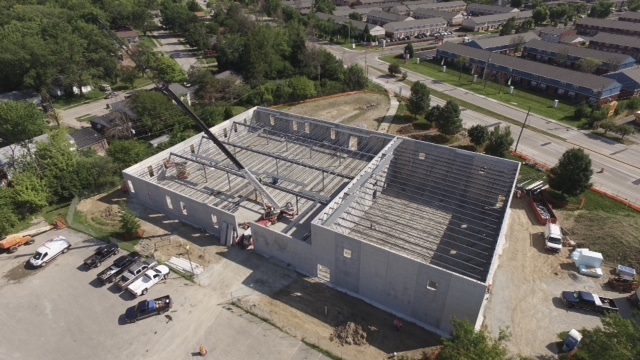 7/22/2015 — Take a look at construction so far. We’ve got walls, folks! 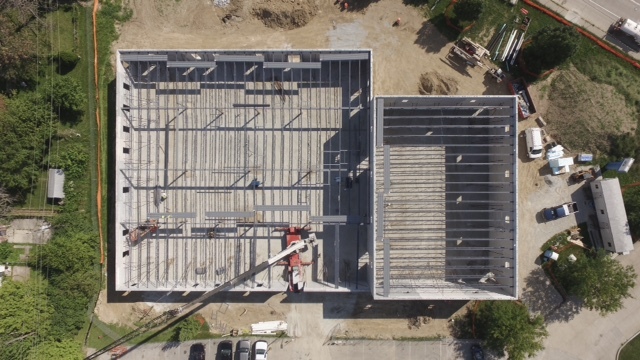 8/14/2015 — Look at the view from overhead! We are so excited. A look from above with the drones! One more from up top. As a Youth Development Professional you’ll plan and lead fun, educational, structured, and age-appropriate activities each day for Club kids. Qualifications: Degree or college courses in social work or education-related field, experience planning and leading childrens’ activities preferred. Please send your resume to Rebecca James at RJames@BGCIndy.org. Earlier this year, we opened our expanded kitchens and cafeterias at our four freestanding Clubs. The renovations of our food facilities allowed us to double the number of Club kids and families we serve hot meals and snacks. New roofs, heating and air-conditioning equipment, and more program space are just the beginning of our improving the Clubs through a $6.9M capital campaign. After completing our first capital campaign in 20 years, we are now looking forward to our next phase, building a new Club. Just a few short weeks ago, we began construction on our new Finish Line Boys & Girls Club at 38th Street and Post Road. When completed in early 2016, this new state-of-the-art Club will serve over 1,200 youth on the Far Eastside (find out more about the Club and meet a family who plans to use it). The new Club will include a games room, gym, computer learning center, a teen room, a dedicated space for art classes, kitchen and cafeteria facilities, and more. And with the release of our brand new website, we now are able to better highlight and tell the amazing stories of both our Club youth and people like you who support them. A thank you to Allegient for their help in creating the new website; we appreciate you. 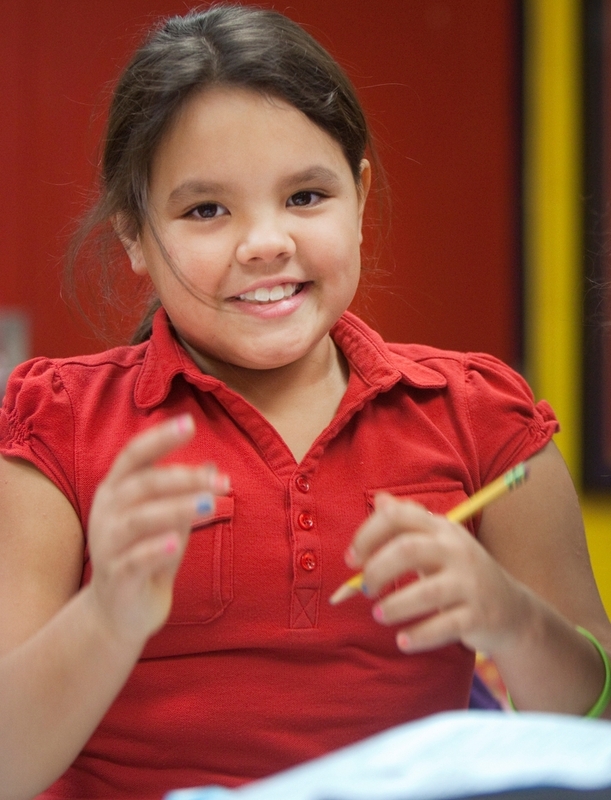 Your continued support of the Boys & Girls Clubs of Indianapolis means so much to us. We have been here for for 122 years, and with your support, we will be here decades in the future, bringing the youth we serve hope and opportunity.